Absorb yourself in the tactile nature of beeswax during this ½ day mini workshop that will focus on creating and using texture. Maggie will lead you through an afternoon of interesting demos with a variety of tools. You will have an opportunity to practice the techniques through your own demo pieces. While working with wax texture can be a random event, take this workshop so that you will be able to plan and develop your skill to create the results you wish to have. This exploratory workshop will generate new textures for you to use to bring your work to more purposeful resolution. Techniques will include scratching, inclusions, ironing, cuts and cut-outs, insets, and heat tools. 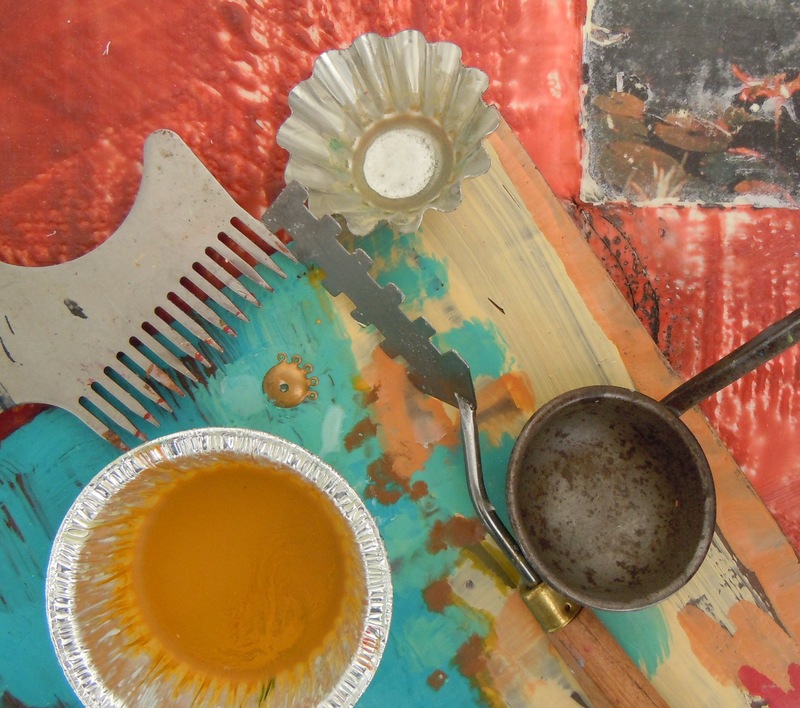 Bring your own pigments, waxes and interesting natural material papers. We will supply some paper samples, other substrates, and the equipment.